Penelope toured in ENTERTAINING ANGELS. Penelope has starred as 'Madam Arcati' in BLITHE SPIRIT at the Savoy Theatre, prior to this she starred in STAR QUALITY at the Apollo Theatre. Other memorable stage appearances include, SUDDENLY AT HOME, THE HOUSE OF BERNARDA ALBA, HOW THE OTHER HALF LOVES, FALLEN ANGELS, THE NORMAN CONQUESTS, DONKEY'S YEARS, THE MILLIONAIRESS, HOBSON'S CHOICE, HAY FEVER, THE DEEP BLU SEA, DEAR CHARLES, THE MERRY WIVES OF WINDSOR, THE IMPORTANCE OF BEING EARNEST, ON APPROVAL and MRS WARREN'S PROFESSION. 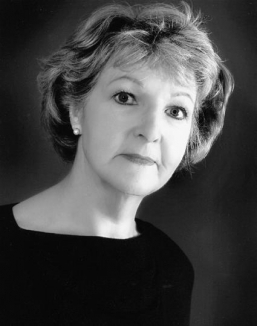 Penelope is also President of the Actor's Benevolent Fund and was awarded the OBE in 1988.